The importance of practicing healthy and habitual oral hygiene is a solid and strong beginning for your child’s dental future. 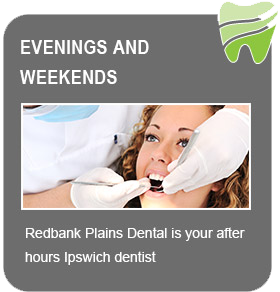 At Redbank Palins Dental, our team are committed to providing positive experiences for your children. You can start their education at a young age – by just bringing your child along with you to the dentist can be a good foundation for your child to have a healthy relationship with the dental practice. 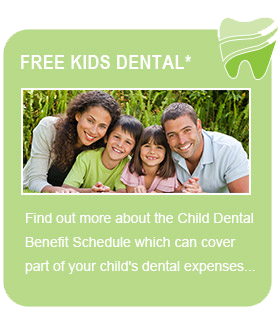 The best age to bring your child to their first dental appointment is around the age of 4. This way we can track the development of their teeth from an early age and provide helpful and beneficial feedback on your child’s oral health and progress. By attending to regular check-ups for your child, we can detect symptoms and establish whether problems could arise before they even happen. This could potentially save a lot of money on treatments down the track and provides your child with the chance to get to know their dentist at an early age – minimising the chances of “fear of the dentist” phobia later on in life. Early recognition of problems such as teeth grinding, mouth breathing at night and problematic jaw structure is essentially best treated when recognised early. It’s important to know that when it comes to oral habits, there is barely any habit that does not have an impact on your dental health. Fissure sealants are best used for children after they have earned their adult teeth. They provide a barrier between the tooth and plaque to stop the teeth from decaying while your child is still developing positive oral habits. 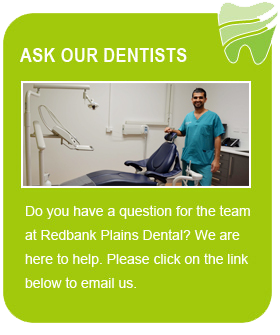 To find out more about fissure sealants and child education for positive dental habits, book a consultation with Redbank Plains Dental today.